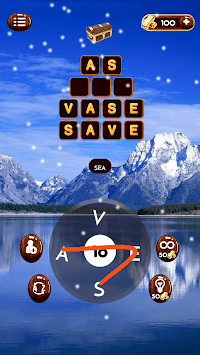 A brand new word searching puzzle game. Hurry! Beat the time in order to win. You already know how to play the average word game. You take your time, swipe and you get a word. This is not your average word game. To win, you must be better than average. Swipe letters to form words and do it before your time runs out. The clock is constantly ticking and in order to show your mastery, you must have an active mind that finds basic word games simple. It starts easy but gets harder as you go, so don't worry, the fun never ends. A word game for all ages. JOIN THE FUN NOW! 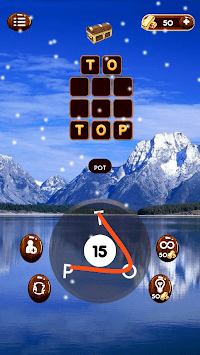 - Simply swipe to connect each alphabet on the plate to form a word before the clock runs out. - Fill up your library book with additional answers to earn extra coins! 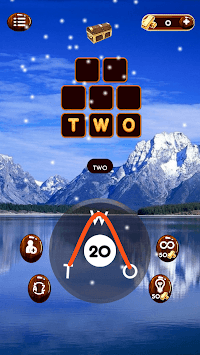 SIMPLE & EASY - With fun graphics, easy controls & a simple premise. KEEPS YOUR BRAIN YOUNG - Stimulating brain game, highly entertaining & educational for everyone. SHUFFLE TO REARRANGE - Shuffle the alphabets & rearrange the letters to spark recognition. HINTS AVAILABLE - Use hints if you get stumped on a word you just can't figure out. INFINITE TIME - When you just can't make it in time, use the infinite time booster to keep playing as long as you want. Very handy when you just can't rush. NEW LEVELS ADDED WEEKLY - Stay up to date for new game updates! Are you a novice word maker, a genius, an expert or are you a prodigy? Players around the world solving crossword-type puzzles every day. Join them!